It was a sad face, bearing a winning smile as a mask. Dark grey-green eyes shone warily. Her skin was too white, as if she distrusted any emotions it might reveal through embarrassment or shock. The voice hat that limber pitch, every consonant framing its vowels with a precise emphasis, as if she were talking to rule. Until she laughed, when it became full-throated, deep-earthly – a pitch change she shares with most actresses. And until she became absorbed in an anecdote, which she could consummately deliver in an eager, breathless rush, with a pause for the punch-line. It is easy to forget that Vivien Leigh has been a star ever since she was acclaimed in a soft-centred and woolly-minded play called ‘The Mask of Virtue’ thirty years ago. It wasn’t entirely a success drummed up by pop newspapers thirsting, as always, for overnight sensation. James Agate wrote her a poised eulogy, and she was accepted as a promising meteor who might find a settled place in the firmament. “I did not take that success seriously,” she says. “And therefore, I suppose I have always distrusted what people say about me. There is a difference beween what an artist knows she has done, and what outsiders, however knowledgeable, claim for her. I have never wanted to be known as a film star, partly for that reason. It is too difficult and unrewarding to hand over responsibility for one’s career to circumstances, and that is what most film contracts demand”. In her favourite home – an elegant, red-brick Tudor house huddling in a valley of the river Uck in Sussex – she has two Oscars. The one she earned for her Scarlett O’Hara in GWTW acts as a doorstop to the drawing room. The other was unmentionably and ignominiously positioned. “When I was chosen by David Selznick to play Scarlett, Korda advised me against it. He just thought it was wrong for me. But I had set my heart on playing it, and I did. While we were making it, no one thought it would make history, and released practically every four years. In fact, people who should know told Selznick’s that the novel could not be filmed. I suppose I was working too hard to have confidence in it, or to feel the lack of it. When I was in doubt, I did what I always do, I went back to the original novel. After all, the author has the best idea of what he is getting at”. 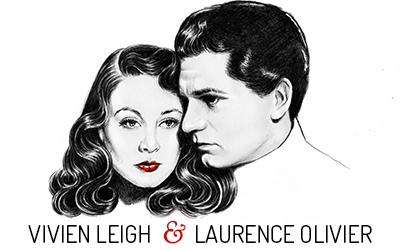 For that film, which has been dubbed into 44 languages, and made according to ‘Variety’, a current profit of 15.000.000 pounds, Vivien Leigh was paid, 5.000 pounds. She confesses to a little rue when it is shown yet again, without any increment to her bank balance. And she hasn’t ever seen it through herself. 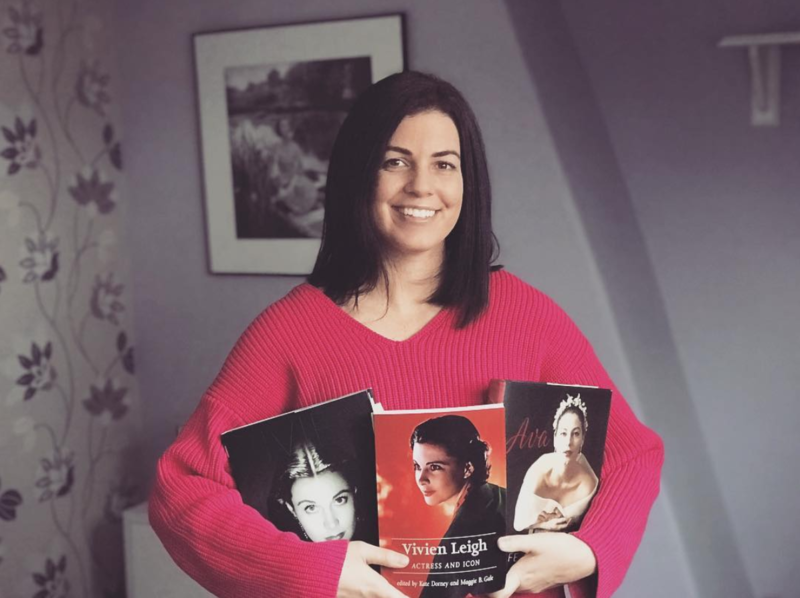 From her first public appearance – as Little Bo Peep in a charity show – to her last – in the upcoming Hollywood version of Katharine Anne Porter’s labyrinthine ‘Ship of Fools’ – Vivien Leigh has relished change. It is the against the grain part that intrigues her, and, ever since ‘Lady Hamilton’ in 1940, she has shopped for acting opportunities without overmuch consideration for their commercial potential. She needed little persuasion two years ago to cavort about in her fist musical, ‘Tovarich’, on Broadway. She endured its wearing routines, though neither her health nor her nerves have ever been robust, until she had to withdraw after nine months. This week, with supreme finger-to-nose indifference for appearances, she starts rehearsing the part of a seventy seven year old aristocrat in ‘La Contessa’, Paul Osborn’s stage version of a novel by Maurice Druon. The lady looks back on her past, but Miss Leigh will not shed her make up. She will drift through her memories in full septuagenarian fig. “People have suche an odd attitude to age. The best thing to do is to ignore it, not be perpetually totting it up”, she insisted. “When it gets to be an obsession, one starts living in the past or worrying about the future. And there’s never an enjoyable present”. Miss Leigh, who confesses to serendipity as her chief recreation, avers that she could retire tomorrow and not care a damn. This I disbelieved. For she may be a great subscriber to happy accidents, but she has a shrewd knack of engineering them herself. She couldn’t live beyond the fringe. Her most disastrous professional experience was at the beginning of the last war. Both she and Larry Olivier were free of film commitments for a while, and the decided to mount ‘Romeo and Juliet’ in New York. They sank all their savings in the venture, but they had mistimed it. She recalls every detail of it. This was the moment when Alex Korda stepped in to save their rocky finances. Duff Cooper had suggested to him that he should make a film about Nelson and Lady Hamilton, as a fillip to war time morale. He cabled the Oliviers, asking them to do it. “It will take about six weeks in Hollywood”, he said. “It can’t be longer or the money will run out”. That film was the foundation of the mass myth about the Oliviers. Somehow, because they were portraying historical lovers, and were so in fact, their marriage acquired a special lustre and a hallowed hush in conversation. It was possessed by the public in a very special way, and through their theatrical partnership, it became institutional, like the Barraults in France and the Lunts in the States. When it broke up, it was rather as if Tyrone had left Guthrie. Vivien Leigh will not be probed about her marriage, its causes or effects. “Everyone has a right to privacy”, she says. “It is both undignified and irrelevant to discuss one’s emotions and attitudes in public – unless they have some bearing on one’s work”. She shrugged off the suggestion that she would one day write her memoirs, and she had the sweetest, most disarming smile when she felt that her reserve was being infiltrated. This attitude, quite apart from the sniffing curiosity about her marital upset, has another root. Some years ago she quoted with approbation ‘And the artists shall inherit the earth, and the world will be a garden’. She has always wanted to be considered as an artist, to dodge the label of a personality. An an artist, as Picasso has said, is to be judged by his works, rather than his affairs. Last year, she went back to India, where she was born but left when she was five : “Some friends were going to Katmandu, and asked me to go with them. In fact, I didn’t go to any places I knew as a child, except Bombay, so it was in no way a sentimental journey. But now I want to go back there and make a film. An indian film. The country, the outlook, the people captivated me”. She wants a small home in Corfu for a while : “I like to paint. I do it very badly. But I think I would improve there. It’s all so paintable”. She herself has been painted, sketeched, drawn, and otherwise limned some fifteen times. But the disharmony between the curving smile and the dreaming inwardness in her eye has eluded most. Even Augustus John, whose unfinished portrait hangs in her Sussex dining room, was foxed by it. The picture was not completed because Miss Leigh got tired of her sittings. She hasn’t much patience with hanging about, and the erratic John, who was wont to wait for inspiration and fill in the time with rum and conversation, felt that hours were meant to be spent, not filled. The last film she made in Britain was ‘The roman spring of Mrs Stone’ in 1961, and she prefers Hollywood for her movie-making. “I admire professionalism, and America has it. Of course, I prefer to be directed and to work with people I already know. And I am quite suspicious of, say, a director new to me. In fact, it was because I was impressed by the drive and enthusiasm of Stanley Kramer that I made ‘Ship of Fools’, I found the book unreadable”. Her seeming fragility is her most misleading characteristic. She can reach for a lawyer when affronted – ‘I like to sue’ – and she has a firm determination to accomplish any theatrical plan, whatever the commercial odds against her. One of her favourite plays is ‘Duel of Angels’ which she has taken from London to Australia and South America. It has two well-wrought female parts, representing the baleful and the gentle sides of womankind. “I wanted to play them both alternately, with Katharine Hepburn, in New York. But the plan fell through. It is the sort of play in which an actress has to play both, for they are complementary. I want to make a film of it one day – and perhaps I can do the two parts”. Her other theatrical loyalty is to Thornton Wilder’s ‘Skin of our Teeth’, which gave her a marathon opportunity as the ageless soubrett who courses through the action. And this was her undoing on television, and one of the few instances in which she misconstrued, not her own ability, but the medium. For the artifice of the piece turned gimcrack before the camera, and audiences switched off with a resounding click. “I listen to advice”, she says, “but I only give it when asked”. But she did, very forbearingly, urge Olivier to cast Marilyn Monroe in the film version of Rattigan’s ‘Sleeping Prince’ although she had played the part herself on the stage. She was right to do so, although, in the result, the partnership was not entirely happy. It is difficult to measure the stature of Vivien Leigh as an actress. Her career cannot be graphed. It seems to wander from peak to peak, with no patch to connect them. What is there in common with her Scarlett, her Blanche DuBois, her Sabina, her Shavian Cleopatra? Negatively, they lack towering passion, and maybe that is why she wants to play Lady Macbeth and Cleopatra again, to try and encompass the thunder she missed before. She acknowledges few limitations to her ambition, but her career has been more remarkable for its breadth than its depth. Strangely, she has never played either in Ibsen or in Tchekhov, and both these explore a kind of feeling that would probably suit her more than Shakespeare. For Vivien Leigh is a modern rather than a classic. And she is eclectic in her choice of music – from jazz to Beethoven – in her subtle blend of furniture, and in her friends. “Although I love it here”, she said as she pointed out the bard that is recorded in the Doomsday Book and the old mill where her books and records are stored, “I get restless. I adore America – New York, Denver, Chicago, all of ti. There is so much of the world I haven’t seen, or that I’ve worked in, and only glimpsed”. She doesn’t respect a pattern, either in her own life or in the universe. Born a Catholic, she remains so – but she is not exclusive about her faith. In fact, it is an enquiring outlook, rather than a ready-made one, and she is sometimes tempted to exceed her grasp stretching her body and nerves to breaking point. For, as one New York critic wrote about her in ‘Tovarich’ (where she Charlestoned every night as if prohibition had just arrived) : ‘Vivien Leigh is this show’s ball of fire. She will set the town alight, or burn herself out’. She did both and came back to Sussex to recuperate. This she can do, for she rests as wholeheartedly as she works. She once said: “The most disastrous thing that can happen to a person is to find himself talking about ‘the younger generation’ as if it was another breed”. Still, she despises pigeon-holing people by age, income, or background. She likes spending her own money, but she doesn’t know how much she has got. She likes her possessions to have a meaning, a link with a place or an event or a person. Surprisingly she produced a copy of the programme for that faraway first success, ‘The Mask of Virtue’. And she has kept all the notices of that heartbreaking ‘Romeo’, her first taste of failure. This, I felt, was her continuity, documented and stowed away. Looking back to that day in 1938, when Vivien Leigh was chosen as Scarlett O’Hara – she has a recording of the vocal test she made for the part – it’s instructive to see the names of the stars who didn’t get it. They were Jean Arthur, Paulette Godard, Norma Shearer, Katharine Hepburn, Bette Davis, Miriam Hopkins, Sylvia Sidney. Only two of them still act frequently. And only Vivien Leigh can do a heartbursting Charleston one year, and play a seventy-seven-year old countess the next.